If you’re currently planning for your upcoming retirement, you’re probably aware of some of the financial challenges you may face. Many retirees are concerned about whether they’ll have enough income to live comfortably in retirement and whether that income will last their entire life. Investment volatility is another common concern. If the market takes a steep downturn, your savings could see a big drop in value. If you’re reliant on your savings and investments for income, you could find yourself in a difficult situation. Taxes can also be a challenge in retirement. Even though you won’t be working, you could still face taxes on everything from investment gains to Social Security benefits. Fortunately, you have tools and options available to help you confront these challenges. One such tool is a deferred annuity. Deferred annuities are popular investment products that allow you to contribute premiums and potentially grow those contributions for future use. Some deferred annuities, called fixed annuities, have an interest rate that is set for predetermined period of time. Others, called fixed indexed annuities, have an interest rate that is tied to the performance of an underlying index, such as the S&P 500. If the index performs well, you earn more interest. If the index performs poorly, you may earn little or no interest. You may already be familiar with tax deferral from experience with your IRA and 401k. Tax deferral is a feature that allows you to grow your assets, but not pay taxes on the growth until a later date. In the case of a deferred annuity, your premiums can earn interest without any tax obligation as long as the funds stay inside the annuity contract. No taxes are due until you take a withdrawal from the annuity. If you have money that is currently taxable, you could reduce your tax bill by moving some of those assets into a deferred annuity. You would still have an opportunity for growth, but without the annual tax obligation. Growth is critical in retirement. You need growth to fund your withdrawals and support your lifestyle and also to combat inflation. However, you also may not be able to afford a substantial loss in the markets. A deferred annuity could be one way to get growth without risking loss. As mentioned, a fixed annuity usually pays a predetermined interest rate over a set period of time. In a fixed indexed annuity, the interest rate could change from year-to-year based on the performance of an index. In either case, you will likely have a guaranteed* minimum interest rate, which is the least amount of interest you can earn in any given year. This number is often set between zero and three percent. That means that there is no risk of losing money due to market performance in either a fixed annuity or a fixed indexed annuity. 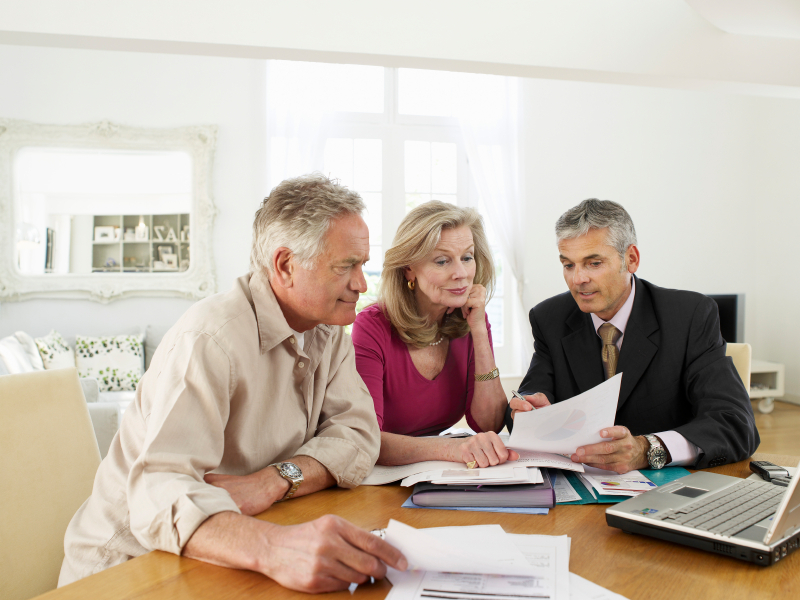 Deferred annuities can also be an effective source of retirement income. In a fixed annuity, you can simply withdraw the interest from your contract as it is credited. Since the interest rate is set in advance, you know what your income will be each year. You can withdraw the interest without affecting your principal at all. In a fixed indexed annuity, you don’t know what your interest rate will be each year because that rate is dependent on the index performance. However, you can select an optional feature known as a guaranteed* minimum income benefit. This optional feature allows you to withdraw a certain percentage of your contract, such as five percent, on an annual basis. As long as you stay within the feature’s guidelines, your withdrawal is guaranteed* for the rest of your life, regardless of how the index performs. Looking for a solution to combat taxes, market volatility, and income concerns? A deferred annuity could be the answer. However, annuities aren’t right for everyone. It depends on your unique needs and goals. Ready to plan your retirement strategy? Let’s talk about it. Contact us today at Jim Lee Financial. We can help you analyze your needs and develop a plan. Let’s connect soon and start the conversation.